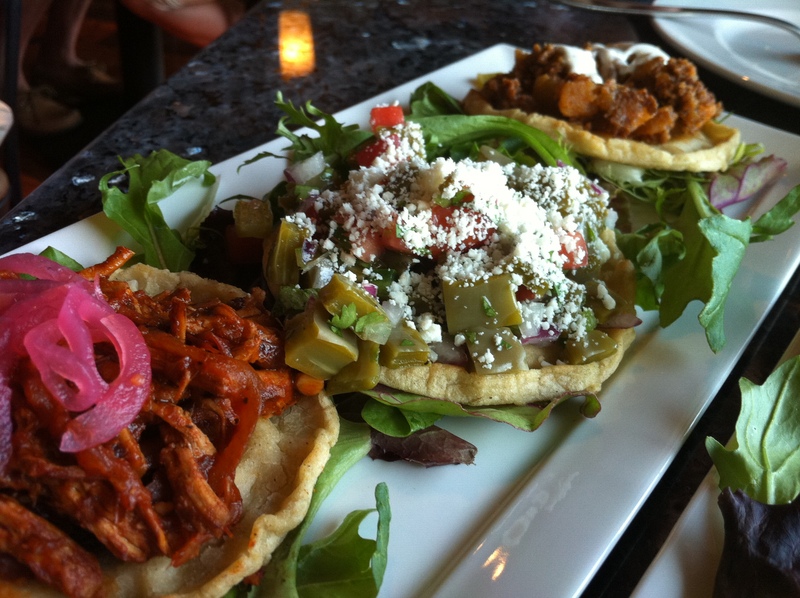 I’m going to say it: you just can’t get good Mexican food in Boston. I can say this because I lived in San Francisco for two years, a qualification that also allows me to make sweeping generalizations about the quality of fresh produce (you just can’t get good avocados in Boston), the temperament of New Englanders (you just can’t get good humor in Boston), and the weather (you just can’t get good weather in Boston). Fortunately, Acitron not only restored my faith in Boston-style Mexican, it left me wondering what other gems Arlington Center might be hiding (aside from Not Your Average Joes). 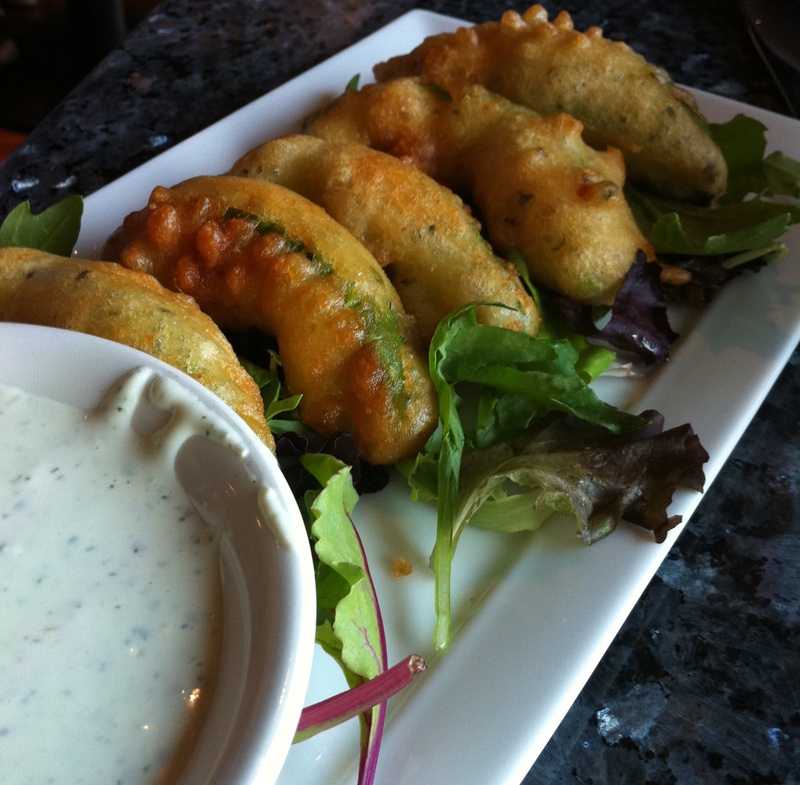 We started with the Aguacate Frito (fried avocado) with cilantro-jalapeno sour cream. The batter was just thick enough, with just the right amount of grease, and the sour cream was so good I made our server leave the bowl on the table so I could dip my food in it throughout the night. The avocado itself was tender and creamy, warm but not uncomfortably hot. The Sopas Surtidos, three corn tortillas topped with potato and chorizo, shredded chicken, and cactus salad with cotija cheese, were next. Cactus, in case you haven’t had it, tastes like a mild pepper with a slightly thicker texture, and mixed with the cheese it was my favorite combination. Next in line was the potato and chorizo, spicy with a nice blend of textures. The shredded chicken was good as well, just not as interesting as the other two. For my entrée I tried the Chiles En Nogada, poblano peppers stuffed with ground beef and topped with a cream sauce. If you choose this, be prepared – the beef and sauce have a sweet note, and there are nuts and raisins in the mixture. It was technically well prepared and tasted good, but if you aren’t in the mood for sweet, you may be disappointed. For my side dishes I chose Mexican “home fries” with chipotle aioli and sautéed mushrooms. The potatoes were well seasoned and perfectly cooked, and the mushrooms were good, if nothing special. Dave ordered the winner of the evening – Chiles Ancho de Camaron, a shrimp stuffed ancho chile. The shrimp could only be described as luscious – juicy, tender, and lightly bathed in a mild yet flavorful chipotle and goat cheese sauce. Nope, we didn’t, but we ate it anyway, out of spite. It turns out you can get good spite salsa in Boston, and at Acitron, you can get good Mexican, too.